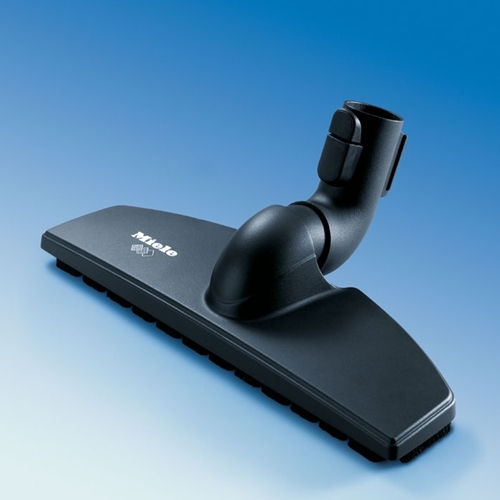 NEW Miele's High maneuverable Hard Surface Floor Brush has just made your house keeping easier. The SBB300-3 is perfect for Vinyl, Natural Wood, Parquet and other high quality flooring. • Specifically designed for Miele S4000 and S5000 series canisters with Miele’s exclusive Park System. • Fits all Miele Canister Vacuum Cleaners but will not park on all of them. • The maneuverability of this attachment is astronomical. • Get under beds, sofas, or tables with ease. Slip it beside toilets, plant stands, or any other areas of your home that used to require small attachments to fit. • The super wide mouth on this attachment makes clogging a thing of the past.